The central theme of this series of articles has been to leverage the best at the intersection of human resources and project management. We have talked about how bringing project management principles and best practices into the human resources function can be a real winner. As an HR manager, it is useful to be able to inject project management savvy into the HR function. I have talked in previous articles about defining your projects and about ensuring that your projects are well aligned with your organization’s strategy. 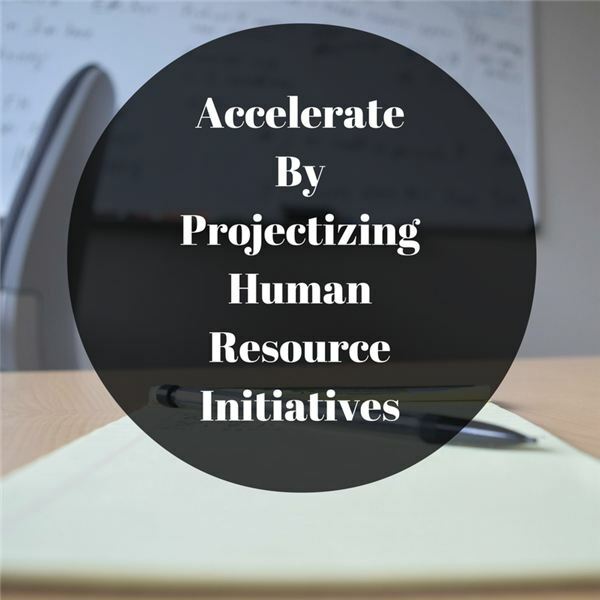 Here are three key areas to think about for every project in the process of implementing projects as part of projectizing your HR department. Just as the entity you work within has an organization, so does each project. There are customers, stakeholders and other team members that will participate in some way on the project. Think through who they are and take some time to define their roles and responsibilities on the project. And – very important! – make source everyone understands and buys in! Finally, just as your company has an organization chart, put together an organization chart for the project so that everyone can visualize how the project is organized. You will need a plan with detail proportional to the complexity of the project. Your plan will first need to articulate your approach to the problem: how you will initiate the project, the planning process, how you will execute the project and finally how you will close the project. With most projects, it is helpful to identify all of the steps or activities in the project, organize them into a work breakdown structure and build a schedule around that. This will become the basis for monitoring your progress and making corrections if necessary along the way. It will also provide you with the information you need to manage your resource needs and monitor the quality of the output of your project. No project goes exactly according to script. It is good to think through in advance what risks and issues might happen and to be clear on the assumptions you are making and the constraints you have. One thing you can anticipate is that there will be change, and you will need to ensure that communication is front and center in making changes. You may need a system for handling these changes, and in your communications, you will need to ensure that everyone understands the reality of tradeoffs across time to delivery, resources, and scope. How mature is your human resources organization in terms of its delivery of projects? What would be the benefits of projectizing your HR function, and what can you do to get started?